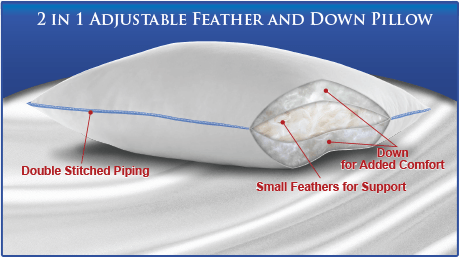 Discover more restful nights when you sleep with your head upon the Effortless® Bedding luxury feather and down chamber pillow. It’s like a pillow within a pillow. This beautifully balanced pillow adjusts as you reposition throughout the night, so you can enjoy a restful night’s sleep. 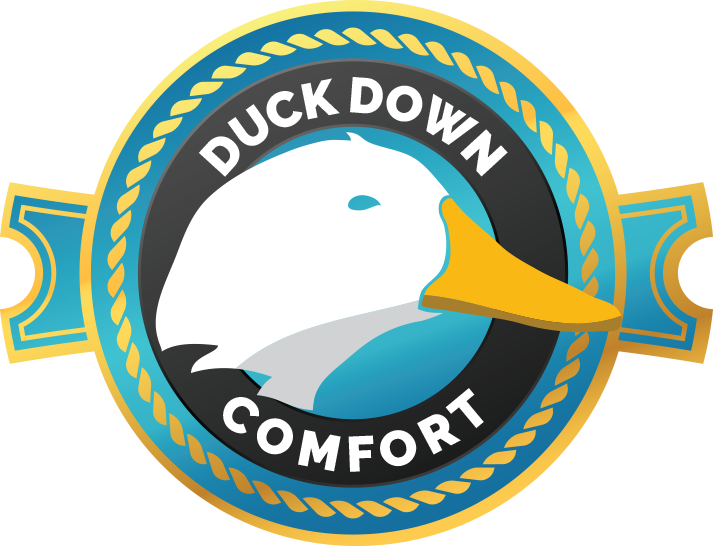 The inner chamber is filled with supportive, white small duck feathers, while the outer chamber is filled with a blend of small white duck feathers and white duck down, so you get the perfect support and softness, all in one pillow. 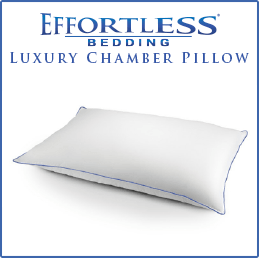 This luxury pillow is encased with soft, breathable cotton with double-stitch edges and light blue piping. •	Encased in breathable 230-thread count 100% cotton finished with a double stitch edge and piping. •	Available in your choice of medium-density support for stomach, side and back sleepers or firm-density support for side and back sleepers. BUY 1 ITEM AND GET 50% OFF ANY ADDITIONAL ITEMS! SHEET SETS, BLANKETS, PILLOWS AND PILLOW PROTECTORS!